The Marathon Racer is "the fastest Marathon yet". 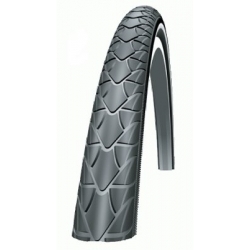 A practical tyre which is also a fast tyre. A good choice for everyday use on recumbents and velomobiles, with the popular 406 size fitting many such bikes, and the 559 and 622 size are suitable for many mountain bikes, road bikes and tourers. Rigid wired tyres have RaceGuard puncture protection and RoadStar rubber compound while the folding variants have HD-Speedguard anti-puncture protection and Roadstar Triple Compound. 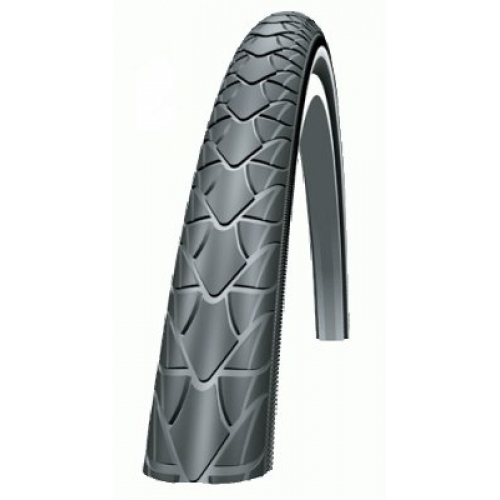 These are relatively grippy, puncture proof and hardwearing tyres but also designed for speed. For even more speed, consider the Durano, Kojak or Continental Contact Speed. For more durability, consider the Marathon or Marathon Plus. The 40-406 Marathon Racer (one of my favourites) weighs 340 g.